Bali Tours offer a range of trips which we grouped into a full day and half day tour sightseeing and travel guides to visit places of interest in Bali and beyond such as volcanoes, lave, beach, temple and visit the unique attractions, cultural, traditional Balinese social life and all of the tourist activities. It is also combined with benefits such as admission tickets, insurance and others are arranged into an attractive package. Our professional driver friendly guiding you to visit the beautiful panorama of tourist sites and other tourist destinations by performing their outstanding service together with our save driver for your convenience and enjoyable tour journey. Bali tours also invite you to see the original atmosphere of the Island of Bali. Bali Tours organize this Lembongan Tour One Day Trip with most popular activities in Lembongan Island. Lembongan Tour is the best choice for you to just put your feet up and relax or explore the inside of Lembongan Island. Half day tours are a tour or sightseeing program that will do in Half day. 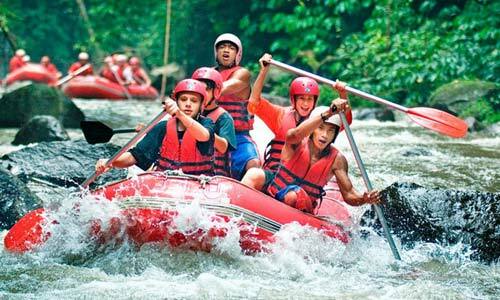 Usually which travelers take a program half day tours are those who do not have much time for sightseeing in Bali. Full day tours is a tour or sightseeing program will done in one day. This is one of the most popular tour which is done by tourists who come to Bali, they will spend a full day to enjoy the atmosphere of this island.